Councilmember Eric Ulrich. Photo courtesy of Ulrich’s campaign. 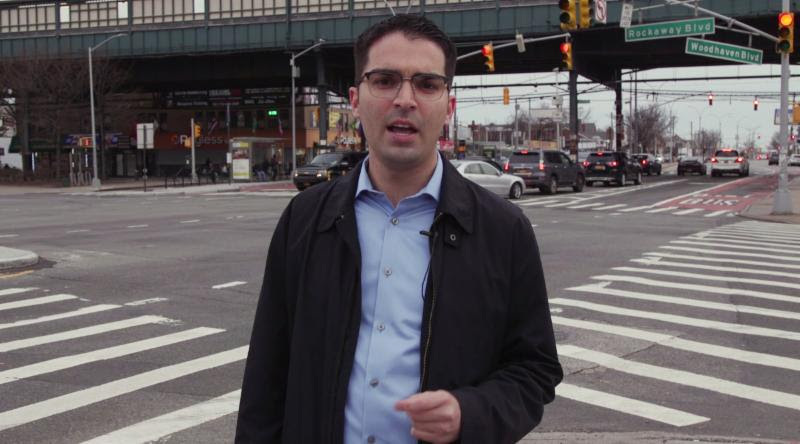 Councilmember Eric Ulrich, a candidate for New York City Public Advocate, will host a town hall in Ozone Park to help small business owners learn the new rules for storefront signs. The meeting will take place on Monday, Feb. 11 at 7 p.m. in the basement of Nativity Church, located at 101-41 91st St. in Ozone Park. Representatives from the New York City Department of Buildings (DOB) and Small Business Services (SBS) will attend the meeting to answer constituents’ questions. After the DOB issued a number of sign fines in response to a surge of 311 complaints, Ulrich introduced a city council bill to educate business owners about awning fines and sign infractions. The bill, which passed the council earlier this month, also imposes a two-year moratorium on new violations. "Businesses throughout my district, particularly along the Woodhaven corridor, were slammed with ridiculous fines for minor infractions. It is absurd that owners face enormous fines for technical violations, like the font size on their awnings. In many instances, these violations cost more than their monthly rent," Ulrich said. "I am thrilled my colleagues in government voted to pass this legislation, which will bring small business owners much-needed relief." According to city building code, signs larger than six square feet require a special installation permit. At the end of 2018, a number of small businesses, including many that had their signs hanging for decades, were hit with surprise fines. It remains unclear who reported the signs. "While this bill is a major victory for our local businesses — it is only half the battle. We need to educate small business owners about these new sign regulations so that they can take advantage of the resources and temporary programs this legislation offers," the councilmember added. "I am thrilled to partner with DOB and SBS to host this town hall."